This month, I am celebrating 3 years since I started writing this blog. Over the course of three years I’ve received numerous emails from Ava Anderson sales representatives asking me to review their products. Also, many of you have asked me what I think about Ava Anderson products. I did recommend a few of them. However, I had reservations about whole-heartedly recommending Ava Anderson to you as a company, because I did not feel there was sufficient control over the manufacturing of their products. When I started asking questions, I realized that there was nobody to ask. I did not feel that the sales representatives had sufficient expertise as to how the products were formulated. They would go ask Kim Anderson (Ava’s mom) and return empty-handed. It seemed as though they had out-sourced the manufacturing process, and those people available to answer my questions did not have enough information to answer my questions. It turned out I was right to be concerned over insufficient control. Recently, Ava Anderson found synthetic fragrance in some of their products. Synthetic fragrance is a big no-no on my list. It is a mixture of undisclosed ingredients. Manufacturers usually refuse to provide the ingredients in their fragrances, claiming they are “trade secrets.” Some ingredients used to make fragrance are associated with allergies, endocrine disruption, and cancer, and so I avoid fragrance like the plague. This is not to say that the ingredients in Ava Anderson’s products caused these maladies, but there is no way of knowing. Also, you might have heard some other unflattering information about Ava Anderson (the company), which may have contributed to its decision to shut down and possibly reemerge under a different name. Before I recommend a product I do my best to contact the company to ask specific questions to get a sense as to whether the manufacturer is really trying to do the right thing, or whether they are trying to pass off their toxic products as being green just to make money off the emerging green market. For example, for skin care/personal care products (see my blog post here), I like Annmarie Gianni. I am in contact with Rachel Pachivas, Annmarie Gianni’s Director of Operations, who promptly answers all of my questions. That transparency is a hallmark of all of the companies I endorse. 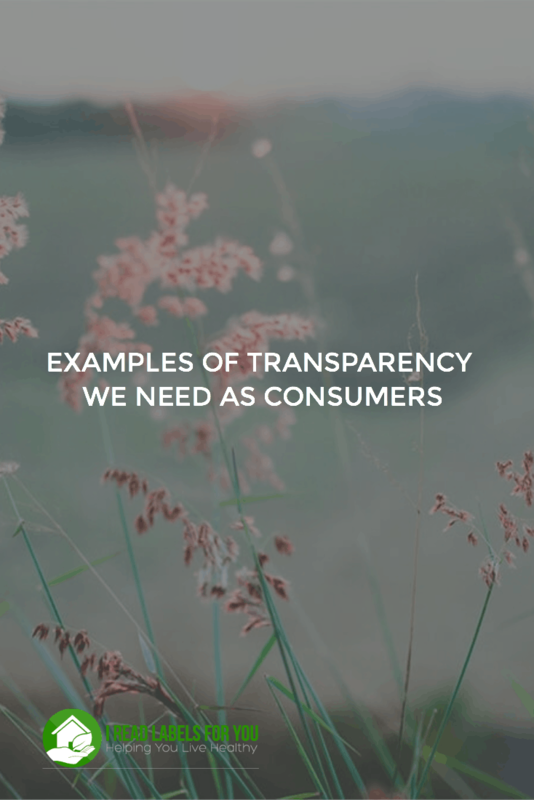 As another example of the transparency we need as consumers, when I first started writing my blog, I contacted Manuela Valenti, who is the owner, formulator and the head of in-house manufacturing for the company By Valenti Organics. Along with her team, Manuela makes small batches of products to ensure quality and freshness. Moreover, Ms. Valenti possesses an unparalleled expertise of the chemistry behind product formulations. Over the years, she has answered my endless questions with patience and care. What’s more, she has told me things that run contrary to some of the information that I was hearing from other companies, so at first, I had some trouble knowing who was right. However, over time, I have been able to verify an awfully lot of what she has told me through independent sources. She strikes me as someone who is passionate about doing the right thing. I also admire her for refusing to use palm oil in her products, which as you might know is associated with rainforest destruction and orangutan population endangerment. Anyway, I am rambling a bit, but wanted to let you know that given this new information regarding Ava Anderson, I have removed my recommendations of their products from this blog. I am not sure what really has happened, but am no longer comfortable recommending their products. Here’s hoping the Ava Anderson team has learned some valuable lessons, and will be more intimately involved with the manufacture of their products in their next venture, and that this will lead to more transparency. If so, I will cheer them on! And if not, well, as my mother always said, if you don’t have anything nice to say . . .
Good for you. I am glad you are pushing for transparency with these companies. 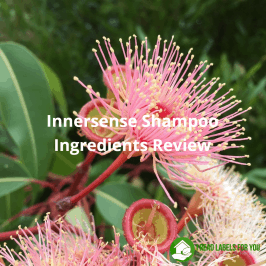 To follow up on Ava Anderson and the fragrance issues, the company notified us of the issue, canceled sales of these products that were third party tested, and offered us replacements of all products that were previously purchased. What company is honest enough to admit to somethin like this AND replace free of charge all of the offending products? I was told that the new, in-house manufacturing was to be sure that things were not contaminated by contracted manufacturing companies. I’d just like to suggest that you dig a little deeper into the situation. Dig a little deeper? Are you serious? How much deeper can you go than carbon-13 nuclear magnetic resonance spectroscopy (https://ecofriendlyusa.files.wordpress.com/2016/01/avadishsoapreport1.pdf). The most critical flaw in this list is the lack of a preservative (Rosemary oil is NOT a preservative). 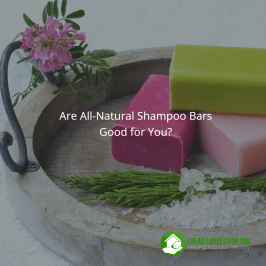 That ingredient omission is either a lie, or is exceedingly dangerous ignorance on the part of the company because the product contains water and would be at high risk of contamination. Additionally, there are so many things wrong with this ingredient list for it to be a viable dish soap. Each raw oil that is listed before the water would be assumed (by the order) to have a weight greater than the water in the product. If that were the case, then this “dish soap” would be 75% oil, at the very least. Not possible for a dish soap. In fact, the analysis concluded that the water content was 73% (actually the main ingredient). Also, there are no emulsifiers or surfactants/foaming agents listed – necessary for the product to be dish-soap. If the ingredients for this dish soap were accurate, you would basically be washing dishes with a thick, non-sudsing, non-rinsing, citrus scented salad dressing. You would need to shake it first like salad dressing because it would naturally sit separated (no emulsifier). And, if it was below 76 °F you would have a hard time squeezing it out of the bottle because the main ingredients are Coconut and Palm oils. Either they are outright liars, ignorant of basic formulation processes, or (radically) lost control of their manufacturing (and labeling) processes. In any case, it doesn’t bode well for their integrity and the authenticity of their product lines. The last thing I would typically want to do is bash a company regarding one particular product like this. After all mistakes in business happen. But given all the circumstances surrounding this company it looks like a guilty verdict to me. It would be better to make synthetic, chemically based products with nice, flowery labels and be honest about the ingredients. On the fragrance issue & the 19 products that were improperly labeled (missing ingredients). It is an extremely dangerous public health issue to have off-label ingredients. The GENERAL public has no clue that the Ava Scents and Men’s products they may have been gifted for Christmas, etc. contain synthetic fragrance. There should be an immediate recall of all products that were improperly labeled, in my opinion. 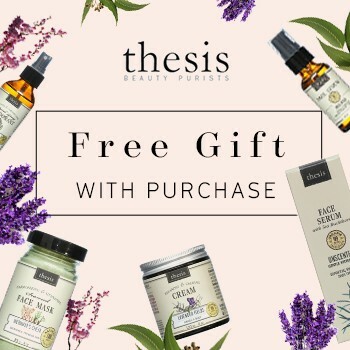 It’s not enough to offer free product. Many, many people want nothing to do with more of this product or anything to do with this new company. THEY should have the right to a refund. So what was their response to the dish soap study? And who performed and funded it, so they have ties to any other companies? I think overall they have gotten in over their heads and stepping away from the company was the right move for them. There were clesrly quality control issues and the consultants are not well informed. The company is still open though and will launch with a new name mid month. So even that information isn’t properly reflected here. They are not shut down and it’s not a question of if they will reemerge or not. But Ava is done and I think if you’re going to take away a recommendation it shouldn’t go against the company that’s relaunching from her base. 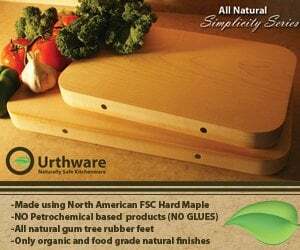 You can read all about it here : https://ecofriendlymamausa.com/2016/01/23/third-party-soap-analysis-determines-ava-anderson-dish-soap-a-complete-fraud/. 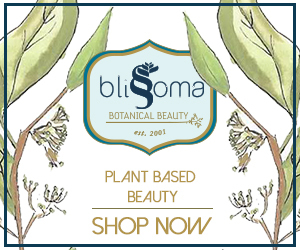 It was funded by Jessica Brandt (https://ecofriendlymamausa.com/about-2/). We (who really care about green/organic living) should be grateful for her diligence and willingness to fight for what’s right. If she puts a donate button on her site to cover the cost of that study (and more like it) I’ll gladly contribute! Andrea, I really can’t comprehend it when you say, “But Ava is done and I think if you’re going to take away a recommendation it shouldn’t go against the company that’s relaunching from her base.”. By what logic do you make that statement? I’m not trying to be snarky … I would just really like to know. Thank you for your thoughtful comments Eric! I have a GoFundMe campaign launched to help cover the cost of the tests, as soon as I get the remaining test results (for synthetic fragrance oils) I’ll put them up on my site with a link to the GoFundMe campaign. I so appreciate your support! Thank YOU Jess for your hard work, and your courage to do what’s right! I imagine it’s exhausting in a number of ways. Count me in. I look forward to the results. I know that some people mis-interpret your Greenwashers list, and in particular your expose on Ava Anderson as an attack with the end goal of personal gain. I see just the opposite … a person who puts herself at risk by taking a stand on behalf of holistic/organic/green consumers like myself. Irina does the same on this blog. We concerned consumers should all be so diligent. I mean the ava company is done, it’s no longer a company. It’s being reopened as a new brand. You misinterpreted my question Andrea … or perhaps I didn’t express it clearly. Why do you think that Ava Anderson changing their name and rebranding would be any more trustworthy than they are now? Forgive the expression, but IMHO that’s like putting a gold ring on a pig’s nose. It’s still the same pig. If Ava Anderson would have addressed all (19 so far) of the product questions/concerns head-on in the first place (as companies with integrity do) with evidence of the contrary, then there may have been a chance for them to stay in business. As it is though, they shut down, blamed everyone else for their mistakes (or outright lies … we’ll never know) and hatched a rebranding plan. They are even blaming “several” (http://www.avaandersonnontoxic.com/important/) of their suppliers. REALLY?? Are we natural/organic consumers assumed to be that ignorant? I would be really interested in what the “professed” natural/organic suppliers have to say. What Ava doesn’t realize is that natural/organic consumers are smart and diligent. So they can rebrand and rename, but they won’t get the free pass they’re striving for. Even if the new products are stellar and they promise to be honest henceforth … it won’t work. I feel badly for the Ava Anderson independent reps/consultants (don’t know if you are one or not). Like end consumers, they are victims as well … likely even more so because the apparent scandal and company closure involves their investment and income. “I mean the ava company is done, it’s no longer a company.” That is not true. It is the same company. The Anderson’s still have a financial stake in the company. Perhaps Ava and her brother are still being paid their salaries…the only difference is a new company name will be on the check. They spent an afternoon at best and $10 on a new logo using clipart which, at the time I checked, was still available on iStock which means they did not pay for the necessary licensing fees to use it for commercial purposes “as” a logo. I personally do not believe the blame rests with the third party manufacturers, it rests with them. The same management team which is taking over under the rebrand. But that begs a question – why was the public not informed in advance of this situation that the AANT products were manufactured for them and not manufactured in house? Because THAT information has to be on the label…by law. 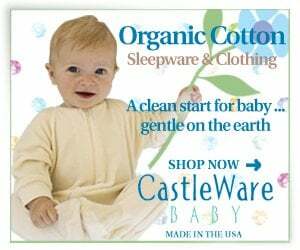 “Manufactured by XYZ Company for Ava Anderson Nontoxic”. On the label. 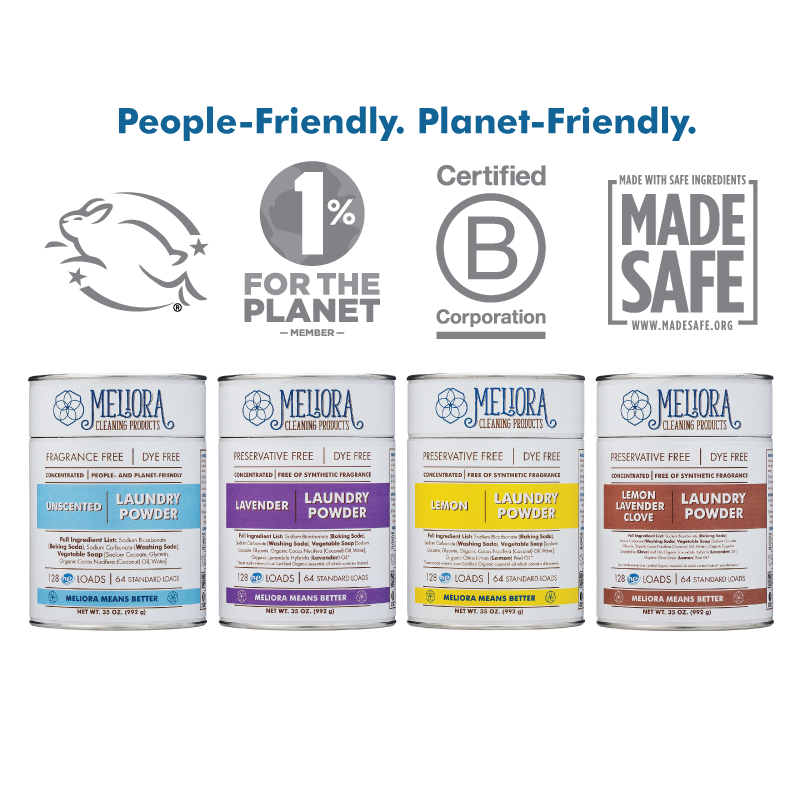 Otherwise they had to be transparent and identify themselves as the DISTRIBUTOR… so the label would say “Distributed by Ava Anderson Nontoxic”. So consumers did not mistakenly think they actually made the products themselves. But they did neither…they led consumers and their consultants to think they were the manufacturer. And since the name of ones manufacturer is NOT a trade secret, and really should be disclosed…who are the manufacturers the Andersons are blaming for the missing and mislabeled ingredients? WHAT ARE THEIR NAMES? If the Andersons REALLY cared about the public…they’d be naming names…because if we really do give them the benefit of the doubt that they had no idea for whatever reason, wouldn’t they want the public to know WHO is hiding ingredients in the products they make for distribution to other brands? We know Ava sold the same household cleaner as Branch Basics…which just admitted none of the ingredients were actually true. So Ava’s other products may also be private label formulas sold by other companies under their private label. 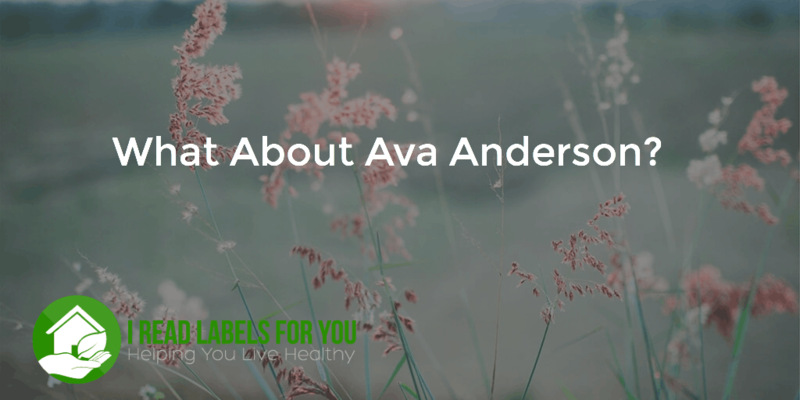 Consultants and consumers alike should DEMAND Ava Anderson name the names of the manufacturers they used for ALL of their products, especially the ones they claim were responsible for the hidden and mislabeled ingredients. Who ARE they really protecting? The company conducting the tests for me currently, which I was told should be available within the hour hopefully, charged $180/sample. They often do it at this reduced rate for concerned citizens/consumers vs what they would charge for a company.